6.99mm x 20.5mm / 0.275in. x 0.807in. Cooking Utensils Charm. 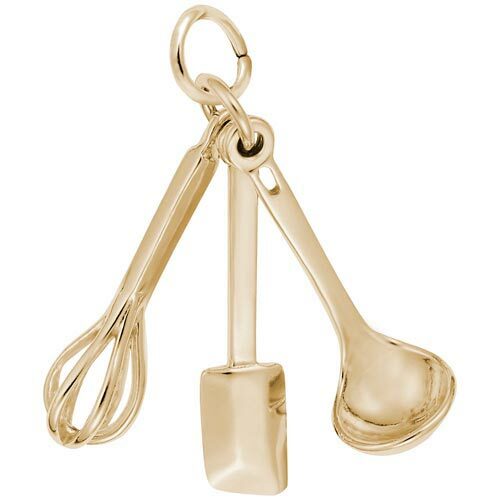 Charm features a whisk, spatula, and a ladle bound together with one ring.